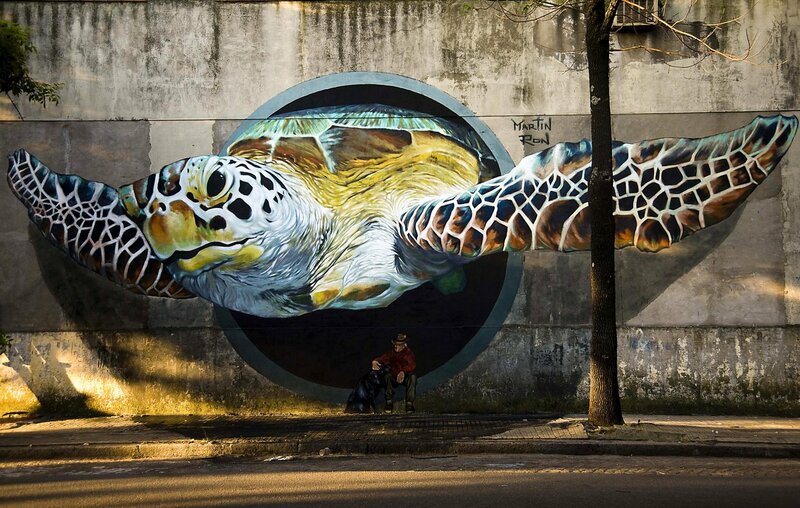 Martin Ron completed a stunning new mural at Meeting of Styles 2012 in Buenos Aires this week. It features a giant turtle flying out of a hole in the wall and an old man and his dog. Martin told Buenos Aires Street Art about its meaning and what the images represent. 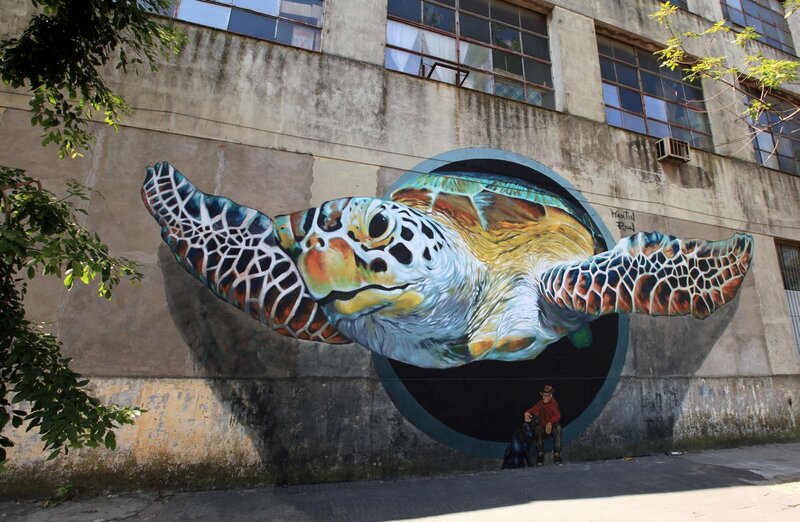 Aryz has completed a spectacular new mural in Buenos Aires at Meeting of Styles 2012. Exclusive photos by Buenos Aires Street Art. 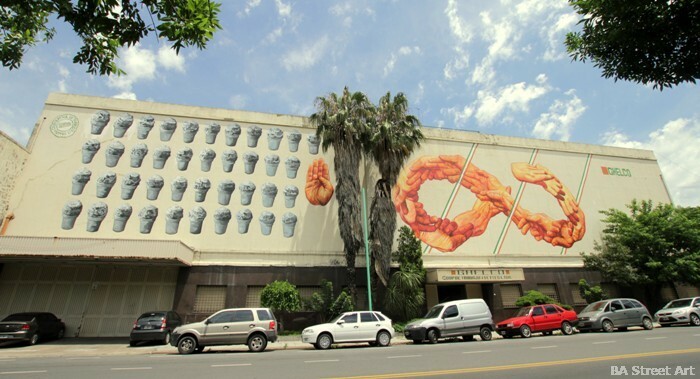 Gaia has been painting an eye-catching and sensitive new intervention with Nanook on the front of an ice cream factory in Barracas, Buenos Aires. In an exclusive interview with Buenos Aires Street Art, the New Yorker and Baltimore-based street artist, who is in Argentina for Meeting of Styles 2012, told us about the concepts behind his latest design and how his interventions relate specifically to their location and the people who live and work there. Street artists including Gaia, Nanook, Charquipunk and La Robot de Madera were painting new artworks at Meeting of Styles 2012 “All in One” in Barracas on Sunday. Photos by Adri Godis.